Famous for her song “Hole In My Pocket”, DC native Joy Lippard burst onto the CCM scene with her highly successful 2009 self titled album. Following that with her 2011 Love Always EP, the seemingly dormant last four years has been a season of maturity, growth and a season of rest for Joy as she creates arguably one of the most underrated indie albums of the year with Set Free. With a handful of the songs releasing as singles throughout 2014, Joy’s passion for delivering thought-provoking music in the wake of discovering the need for help and assistance in the world of human trafficking is what has created this album. These 11 songs have been birthed from a place of bringing awareness of the issue to listeners, and delivering them with a message of hope and redemption. While the issue of trafficking and slavery won’t be eradicated completely until we are in heaven, what this album delivers is one of comfort and confrontation as Joy boldly proclaims that we all ought to ‘…let the truth be heard, c’mon let out a shout, lift up your voice…let’s sing it out…’ (“Let the Truth Be Heard”). From the confronting first track to the poignant title track and the masterfully delivered Katy Perry cover “Unconditionally” as the album closer; this is an album certain to be enjoyed if you enjoy similar artists like Rebecca St. James, Kari Jobe or Christy Nockels. Phrases to be taken to heart and meditated on as we realise that the God who we think has abandoned us during our trials is right there is the midst of them; it is the 5th track on Set Free that stands out the most for me- not only was it the first song that made me truly a Joy Lippard fan (it was after listening to this track that I back-tracked and heard her previous melodies), but “Carry You” is a great example as any of God reassuring His children of His presence in their lives. As Joy puts it herself, ‘…it’s the pain that we often spend our whole lives running from, that can be the very thing that draws us closer to God…’ Well done Joy for such a powerful song, and a definite song highlight for 2015 so far! “Let the Truth be Heard”, “Liar, Liar”, “Set Free”, “Don’t Wake Me Up”, “I See a Light” and “Ray Of Hope”, all alongside “Carry You”, released in 2014 as singles to iTunes at different points throughout the year, and while each of them have their own unique theme, the overall arching element that entwines all these songs together is the issue of slavery. Never, I reckon, in the history of CCM has an artist released all their songs on a particular album to be about this difficult issue- kudos to Joy for doing that. Starting off the album with the powerful song, even by title, “Let the Truth Be Heard”, encourages us to speak up and stand out as we share truth with our friends, neighbours and family, and in this song and album’s case, the truth about slavery and human trafficking. With a light acoustic presence; Joy declares to ‘…stand up, stand out, rise up, sing it loud…’, something we all as Christians need to employ if we are to be the catalyst for the change within and around trafficking as a prevalent issue to society. “Liar, Liar”, as the title suggests, brings the theme of the devil lying to us about who we are in Christ to the front and centre, with Joy warning us to not give in to the lies being said about us and who we are in Christ; while “Set Free” encourages us to contemplate the gravity of what being set free in Christ really means. As Joy proclaims with fervour and praise that ‘…I’ve been set free, death has lost its hold on me, alive I stand, blameless in Christ the Lamb…’; we are reminded that being free is more of a mindset than anything else, we can still live like we’re in chains because of circumstances rather than embrace the freedom in Christ. With more of a piano-pop sound, the title track is one of joy and celebration, and a standout on the album. “Ray of Hope” brings with it a musical vibe of the 1960s with acoustics and a bar-like sound as Joy invites us all to be the rays of hope to the people we meet as Christ is the ray of hope in ours; while “Don’t Wake Me Up” implies a sense of longing and waiting for a time when all is right with the world, and while it is impractical for us to sleep and not wake up until such a time, it does give us resolve to fix and change things that are unright with this world. Told from the perspective of a child slave, “I See A Light” is one of the most poignant melodies on the album as Joy presents a theme of us being the light in the darkness and for those less fortunate than us, as the song shows us thoughts and feelings that I’m sure every person trafficked have felt throughout their lives. One of the most confronting and hopefully encouraging melodies on Set Free, Joy moves on to more easily accessible and less heavy issues, from love and commitment in “Woo Her”, a song about wooing and keeping the ones we love; to “Masterpiece”, a duet with Philippe Prosper about us discovering, believing and holding onto the fact that we are masterpieces in God’s sight, and how we can remind ourselves and others of this fact. Joy even covers the Katy Perry song, “Unconditionally”, as the last track on Set Free. While it is understood that Katy Perry is no longer a Christian, this song still reminds us all about the love that God has for us that is unconditional, and Joy does a great job in acoustically covering the song. The theme of the album Set Free is summed up quite beautifully in acoustically driven “Dreams”, as Joy invites us to not dwell on the past but instead focus on our present and future in the freedom that Christ gives. What Joy has done on this 11 track album is something unique and different, and as each song is presented in a way that reminds us all about the issue of human trafficking, each melody does have some practical and personal applications. 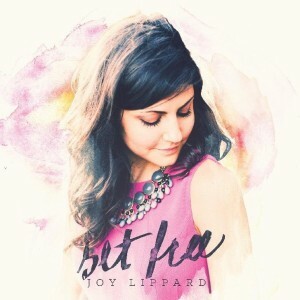 From the powerful title track to “Carry You” and the motivational “Dreams”; this album is one of my favourites from an indie artist this year, and a certain purchase if you enjoy similar artists like Rebecca St. James, Nichole Nordeman, Kari Jobe or Jaime Jamgochian. Well done Joy for such an enjoyable album, and one that’s certain to stand out in March 2015 alongside other albums from artists like Third Day, Hawk Nelson, NF, and Kevin Max!